3 architectural drawings on 1 sheet, Competition 158, City Hall and Square Competition, Toronto, 1958, by William Hayward and Associates of the United States. 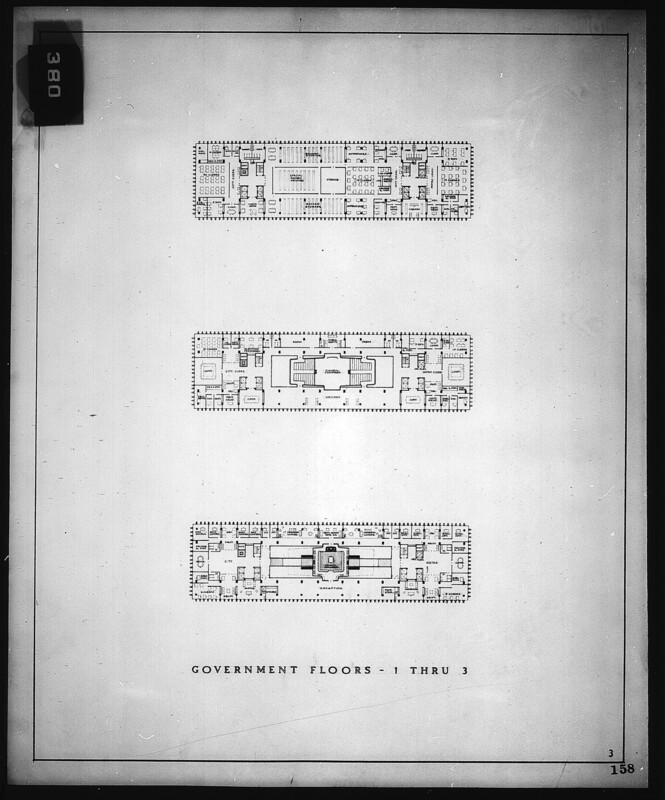 Floor plan of government floors 1 thru 3 showing Council Chamber, gallery, Clerk's offices, reception and other offices. This entry was a finalist. 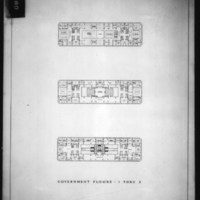 William Hayward and Associates., “William Hayward and Associates entry City Hall and Square Competition, Toronto, 1958, floor plan of three government floors,” TPL Virtual Exhibits, accessed April 19, 2019, http://omeka.tplcs.ca/virtual-exhibits/items/show/1129.